High ‘pH beds’ of detergents, especially sodium or potassium hydroxide, substantially shorten the life expectancy of wood. 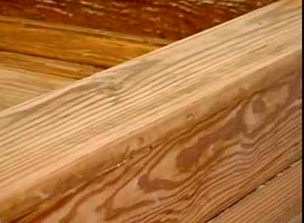 When those products are used & not neutralized wood surfaces deteriorate fast. 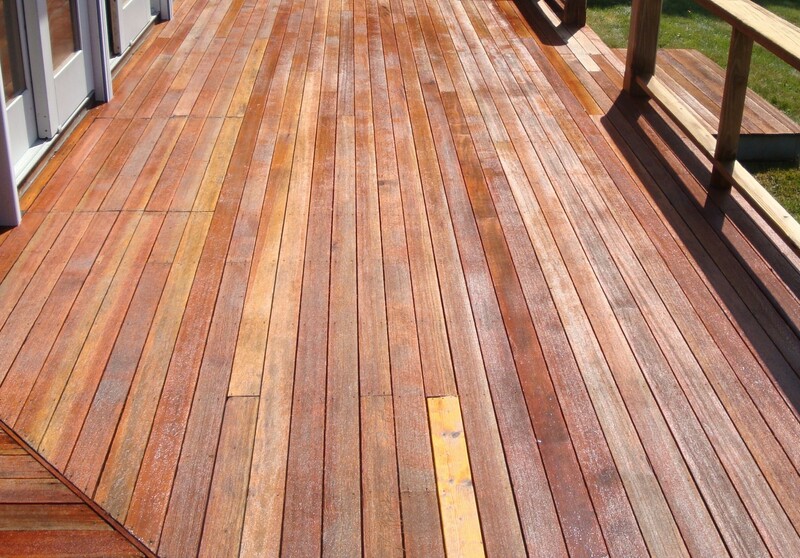 The Deck Restoration Industry has grown considerably in recent years. As is the case when most great ideas are conceived – experts seem to blossom overnight as they have done here. This is not always a good thing. In the Professional Mobile Wash Industry contractors quite often find themselves in the ‘clutches’ of many companies with so-called ‘revolutionary’ cleaning products that are merely extremely high pH detergents of which most are either sodium or potassium hydroxide based. These are great products for many applications, but not for this industry. The hydroxide families of products are extremely effective in the drain cleaning industry and as oven cleaners. While effective they are certainly not the best product for wood cleaning. When used for wood cleaning they immediately start breaking down wood fibers. More often than not this idea of using an excessively strong alkali detergent ‘bed’ has been introduced to kill mold and mildew. We have a product, RESTORE, that will do this without harming the wood but even if RESTORE is not the product of choice a much diluted solution of bleach would be a better choice than high pH detergents. First it will brighten weathered wood and revive its natural color. For years this product has been a favorite among furniture craftsman who occasionally find themselves in a situation where a dark or stained spot needs to be blended back to match the rest of the wood. Second it can be used as the necessary “bandage” when contractors insist on using these strong detergents and the wood has been darkened as a result. Or they have to follow behind another contractor who has darkened the wood and doesn’t know how to fix it. Deck & Shake Brightener quickly starts reversing this action upon contact. Typically, the darkened surface will be back to normal in 1-4 days. Mixing Instructions: Read and understand these instructions before starting to mix this product. Use warm water, never hot (not to exceed 120 degrees F.) Warm water helps powders go into solution more easily. On the other hand, hot water will blow apart many of the surfactants contained in the powder. It is possible to use cold water but additional manual agitation may be required. Mix approximately 1 lb of Deck & Shake to 1-gallon of water. For mixing in a large vessel such as a 55-gallon drum contractors have found that the use of a 3/4″ PVC water pipe makes a good stirrer. Directions for use: After cleaning the unpainted wood apply apply Deck & Shake to the surface with a pump-up sprayer to neutralize and brighten the wood. After the desired result is achieved lightly rinse with fresh clean water. This product may be diluted for different applications; actual washing experience is the only way to determine what is right for you. Do not allow product to splash onto other surfaces. Note: It is important to always rinse well and when you think you are done – rinse again. This should be common practice with all cleaning solutions. Pay special attention to horizontal surfaces that may trap detergent, allowing it to run down onto surfaces after you have washed them. When you absolutely, positively want it to look like new again!